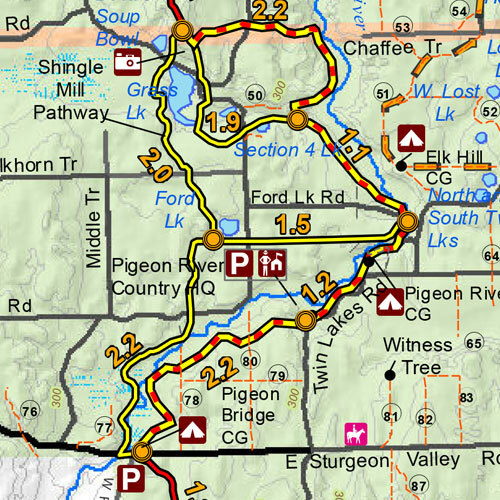 With five loops ranging from ¾ to 11 miles long, this is the PRC’s most popular pathway. Visitors hike and bicycle in the summer or cross country ski and snowshoe in the winter. From the Pigeon Bridge CG, this pathway snakes along the swift-flowing Pigeon River for several miles before climbing into the highlands overlooking the river valley. It traverses a 1,700-foot-long boardwalk through a cedar swamp.